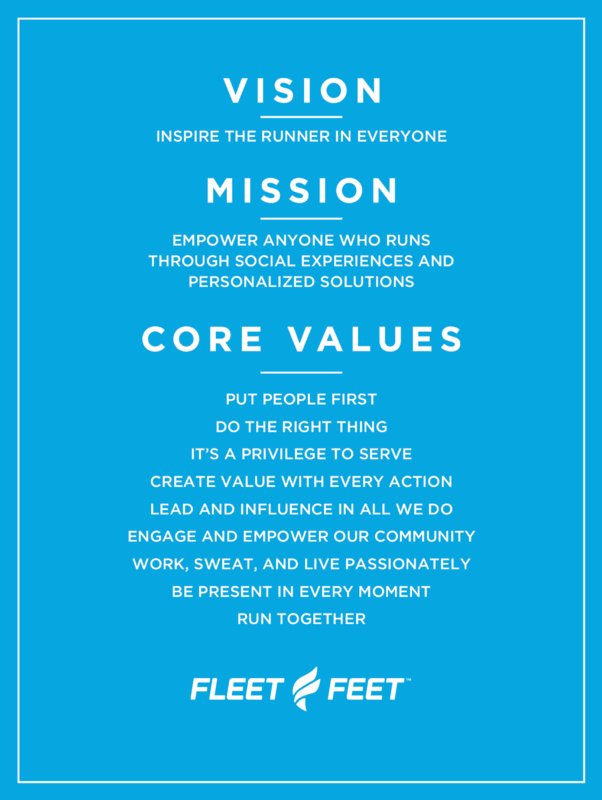 At Fleet Feet, you will find a welcoming environment where runners, walkers and fitness enthusiasts of all abilities receive unparalleled service and support. Whether you're an avid runner preparing for your next marathon, a high school athlete needing spikes and trainers for the upcoming season, a nurse or doctor on your feet for 10-12 hour shifts, suffering from plantar fasciitis, or you just need a comfortable pair of shoes, we're here to make sure you are outfitted with the essentials you require. Every time you come in, staff members will be ready to help tackle any problems you're facing, any aches you're dealing with, and answer any questions you have. Our goal is to inspire the runner in everyone, no matter the distance. Winter Training Programs are underway! Fall Training Groups are going!